Let the colors explode on the screens with this animation, this colorful video loop will set the mood for your audience. A joyous design ready for you to use in your shows. 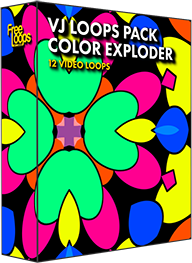 This video loop is part of VJ Loops Pack Color Exploder.